In order to give its tourist sector a boost Pakistan railways have planned to establish a tourist train from Rawalpindi to Khewra and other frivolous areas. According to plan set initially the tourist train will cover routes from Rawalpindi to Taxila, Attock Khurd, Rohtas Fort, Mangla dam and Khewra. Afterwards, the Railways will extend its tourist train operations to other entertaining spots of the country. Railways also plan to offset some of its losses through this. The ‘tourist train’ will be run by Pakistan Railways Advisory and Consultancy Service (PRACS), a subsidiary of Pakistan Railways, on weekly basis. In the past Railways started such project on October 2010 between Rawalpindi and Taxila Museum to attract people to visit the tourist locations, but due to some reasons, the train project could not be continued. According to railways officials the train was suspended on the instructions of the ministry of railways owing to security situation. However, Pakistani media claims that facts speak a different story. According to an official document, aging locomotives, shortage of equipment, over-staffing and large debt continue to take their toll on railways. PRACS had launched Gandhara Steam Safari tourists trains in 2010. Weekend day trip on the train Steam Safari tourists train wasl charged Rs 1,200 per head from Lahore to Changa Manga and from Rawalpindi to Taxla and adjacent historical areas and in the package the return ticket was included. Now on the re-launch first of such train will embark on a day’s journey on coming 23rd November to Khewra where the world’s second largest salt mine exists. 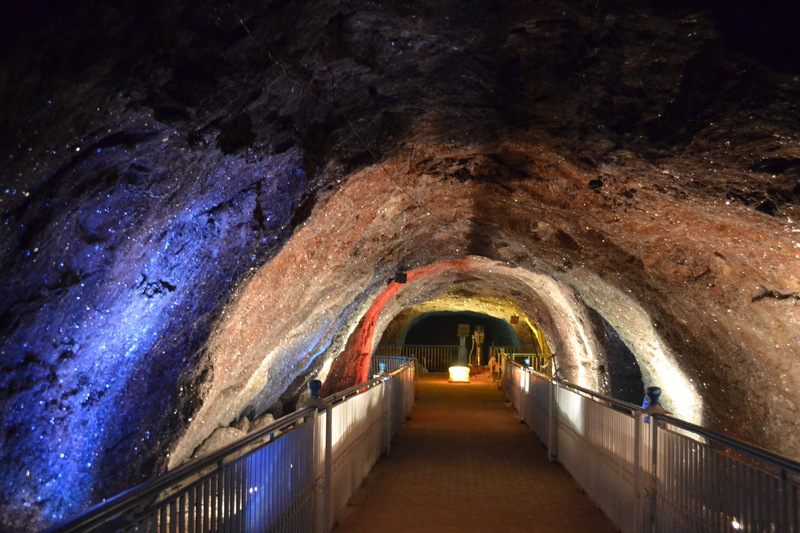 It is a part of a salt range which stretches over 300 kms. 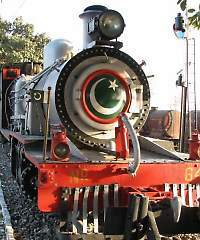 Tourist train will also run between Rawalpindi and Taxila, Attock Khurd, Rohtas Fort and Mangla dam. Later on, the service will be extended to other tourist attractions. Special coaches have been built for the tourist train. With the start of winter season, PRACS had started receiving queries from educational institutions seeking chartered tourist trains for different places of historic importance, PRACS official said. All these spots are high on tourist radar. The ruins of Taxila consist of many different parts of the city buildings and buddhist stupas which are located in a large area. The main ruins of Taxila are divided into three major cities, each belonging to a distinct time period. In addition to the ruins of the city, a number of buddhist monasteries and stupas also belong to the Taxila area. Some of the important ruins of this category include the ruins of the stupa at Dharmarajika, the monastery at Jaulian, the monastery at Mohra Muradu in addition to a number of stupas. Changa Manga has not been included this time in the itinerary. Hopefullly, it might be done later. Changa Manga is a planted forest and a wildlife center in Lahore District. It covers an area of 4,860 hectares (12,000 acres) and is one of the largest man-made forests on the planet. The planting and irrigation of it took place in the 19th century in the era of the British Raj due to the need for timber for the Indian railway network. The Changa Manga forest is a hot spot concerning wildlife in Punjab. Wildlife within the borders of the plantation include a small remaining population of Nilgai, hog deer, wild boar and possibly axis deer. Jackal and Asiatic wild cat can be found in Changa Manga as well. Changa Manga serves as a wildlife breeding center. Changa Manga plantation is an important place for restocking projects of Asiatic vultures in Pakistan. Parts of the forest have now been developed into a park with a rail road which gives the visitor a 25 km ride on a miniature train through the forest. There is a lake called Lunar Lake where boating is possible. The forest park has good recreational facilities and a good quality hotel. Among the places included this time Attock Khurd is a small town located on the River Indus in the Attock District of Punjab, Pakistan. Historically and strategically, Attock Khurd is considered the gateway to Central Asia since it is near Khyber-Pakhtunkhwa border. The old city has a rich history and was of special importance to the entire sub-continent since early civilization days. 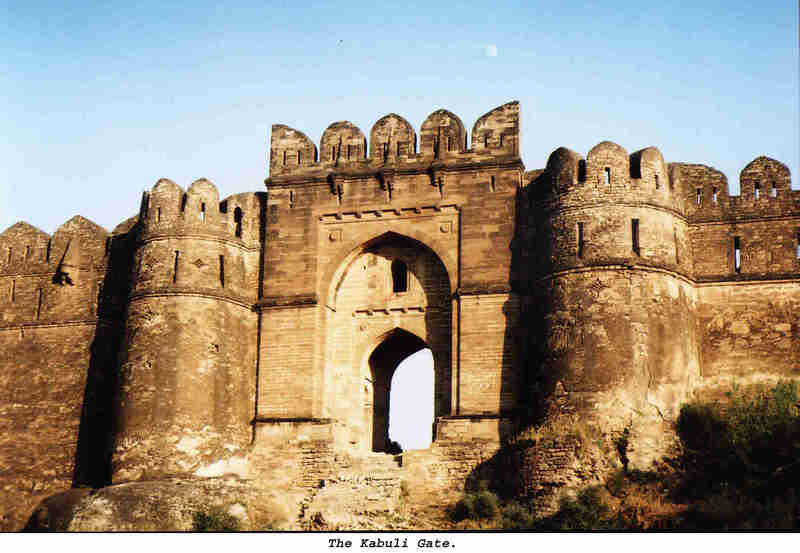 Rohtas Fort is a is a historical garrison fort built by king Farid Khan, located near the city of Jhelum Pakistan to subdue the warrior tribes of North Punjab. This fort is about 4 km in circumference. The Rohtas fort was built to crush the local tribes of Potohar who were fiercely independent and loyal to Emperor Humayun. Sher Shah constructed Qila Rohtas to block Emperor Humayun’s return to India after defeating him in the Battle of Kanauj. This fort lies on the old GT road between the North (Afghanistan and western Pakistan today) to the Plains of Punjab. This fort is a UNESCO world heritage site. The Mangla Dam is a multipurpose dam located on the Jhelum River in the Mirpur District 67 miles (108 km) south-east of the Pakistani capital, Islamabad. Mangla Dam is said to be the twelveth largest dam in the world. The main dam is 10,300 feet (3140 m) long and 454 feet (138 m) high (above core trench) with a reservoir of 97.7 square miles (253 km²).